Just want fun and creative portraits? Portraits tell a story. A story about you. About the mood. The vibe. They make us feel things. And we get the opportunity to see ourselves in new ways. To challenge ourselves and step outside the box. So whatever your goal is, we have package options for everyone. Gel lights package - metallic lights anyone? Yesssss plzzzzz. Vintage film package - for those who want a nostalgic film vibe, something warm and classic. Neon lights - a slightly darker night time look with neon street lights to give you a more dynamic portfolio. Flash photography - did someone say Terry Richardson vibes? Hellllllls yes. High fashion flash photos all dayyy. Summer package - think you look hot in a swimsuit and feel like covering yourself in baby oil? If you're exploring the swimsuit industry, this is a great package for you! Fitness package - for all of the aspiring fitness models out there and those of you looking to diversify your portfolio with active health focused shots. Creative premium package - Creative premium package - can't decide? Choose 3 different themes and have fun building out your portfolio with vibrant unique styles. Ever shot with metallic gel lights? It's incredibly fun, and common. You look bomb. Seriously. All the feels with these retro film styled photos. Twinkle lights. Neon signs. Street lamps. Need we say more? Edgy meets retro meets photobooth. Flash leaves everything looking flawless. Wrinkles and lines? Whaaat. Not here. This package is an instant crowd pleaser. Can't decide? Want more? 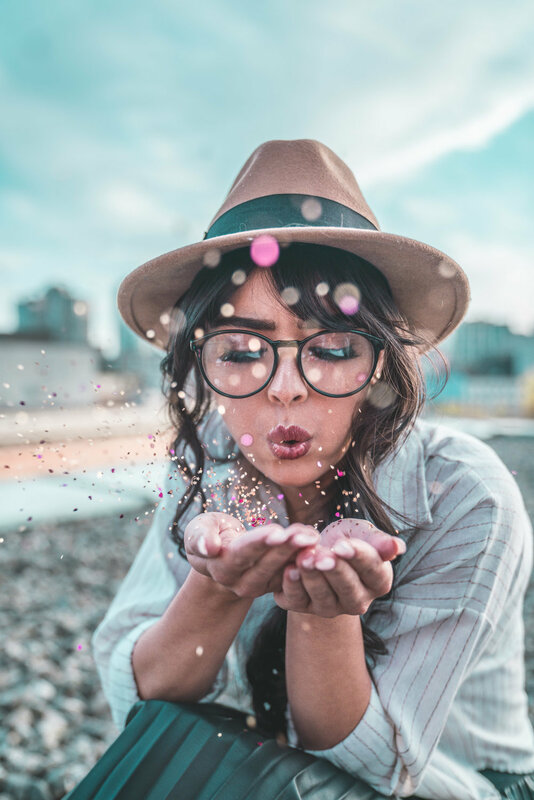 Whether it's a birthday celebration, a fun shoot with your bestie, or you just want to try a few new things, this package includes a choice of 3 different themes. Smoke bombs, color powder, glitter, lights, neon lights & more, let's be honest - you're going to look amazing! Whether it's at the beach, in the city, or at a pool, celebrate summer with a swimsuit shoot! Who likes muscles? All about being strong and healthy, it's hard not to look like a badass with this package!